Featuring Durable material & professional finish this range looks visually stunning. 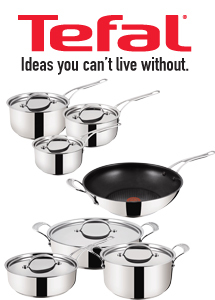 Designed with Titanium non-stick coating this range is suitable for all heat sources. These lines are also dishwasher safe making it easier for you after you’ve done the fun part of cooking. 3pc Saucepan set which includes 16/18/20cm with lids. EPE are overjoyed to receive the Highly Commended SDA Preferred Supplier Of The Year 2017Award at the Sirius Buying Group Show. 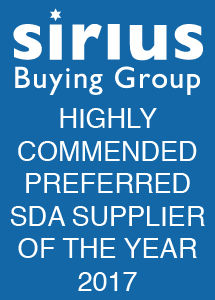 EPE were Finalists in the SDA Preferred Supplier Of The Year category for the 2017 Sirius Awards. High Street TV is a multi-channel retail business operating in the UK and internationally. High Street TV are one of the UK’s fastest-growing companies as recognised by The Sunday Times Fast Track 100 and International Track 200. High Street TV was Founded in 2008. Life. Love It. Live It. – is more than just their strap-line, it’s High Street TV’s take on life. It captures their brand purpose – to improve the quality and enjoyment of people’s lives – and it says a lot about them, how at High Street TV they love to work together to make things happen, seizing the day and having fun along the way. NutriBullet Maximise your food’s nutritional potential with the NutriBullet, The number one in nutrition extraction. Pressure King Pro lets you cook perfect meals at the touch of a button, up to 90% faster than traditional cooking methods! The Pressure King Pro, can cook from fresh or frozen. Veggie Bullet The latest addition to the NutriFamily, the new and exciting Veggie Bullet is a 3-in-1 electric Spiralizer, Shredder and Slicer that makes healthy eating convenient and delicious. Power Air Fryer Enjoy fried foods without the guilt with the quick and easy five-in-one Power Air Fryer XL! Turbo Scrub Take the hard work out of cleaning with Turbo Scrub; the compact, rechargeable and cordless power scrubber that tackles tough messes, dirt and grime quick and easy. Air Hawk Pro Is the fast and convenient air compressor with a digital display and LED light. It’s cordless, so you can take it anywhere! It’s great for pumping up car tyres, bicycle tyres, footballs, air beds and more! 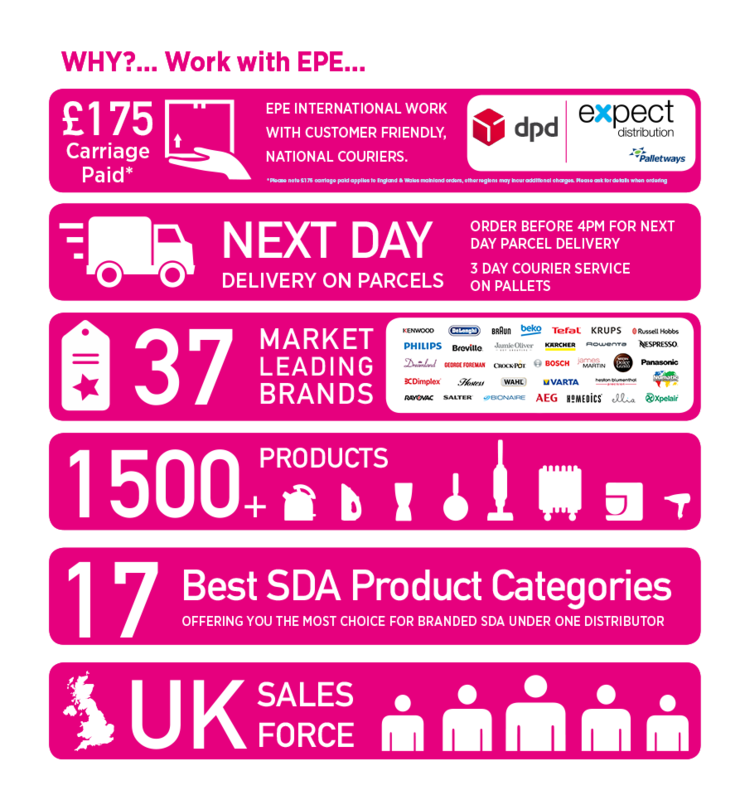 EPE International managing director Noel Pamment added, “The key to demonstrating SDAs in-stores is to create ‘theatre’. Buy a fresh chicken, for example and in a safe area of the store, use the Pressure King Pro to steam it in super quick time”. 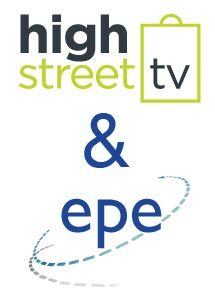 The partnership between EPE and High Street TV will bring more ranges to a wider variety of stores from big names to the independents. Other High Street TV product lines available from EPE are; Air Hawk Pro, NutriBullet, Power Air Fryer Pro, Turbo Scrub and the VeggieBullet. 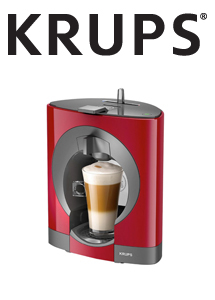 The new Krups Mini Me features a 15 bar pump pressure, 0.8L tank capacity and Auto Stop feature. The KP120840 comes with 6 capsules. From the 28th of September 2017 until the 31st of May 2018 you can redeem £30 Web Shop Credit at www.dolce-gusto.co.uk. Beko have delivered with the new range of Floor Care. New for 2017 the new Orion stick vacuums are available in two different models. The VRS82732VD features a Motorized Triangle brush head, 0.7 litre Anti-Static Dust-Bin, Smart sense dust-bin full indicator, Soft Grip handle, LED display showing battery indicator and a 360º Swivel-Flexi head. This Orion vacuum also features a 32v Li-Ion battery and a 60 min runtime from a 5hr charge. The VRS82740VF features the same basic spec as the VRS82732VD but has a 40v Li-Ion battery, and a 75 min runtime from a 5 hour charge. Beko also bring you a Handheld Vacuum the VRT7524 which features 0.4litre dustbin, Dust seal washable MIF filter, Convenient charging and storage docking station and also comes with a 3 in 1 multifunction accessory. With a 21.6v Li-Ion battery and a 25 min runtime this is perfect for the little jobs in life. The Big Box 24 Pack CDU from Varta is available in both AA and AAA, for all your household needs, not only have Varta brought you this they have also released a new CDU for their High Energy blister packs. 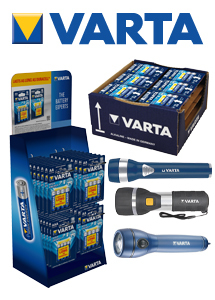 Varta also bring you the light in the dark with their new line of Torches and Flashlights which all feature LED lights. 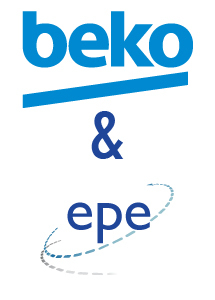 Beko and EPE have been featured on the Get Connected website. Beko will be displaying both new and existing SDA and Floorcare ranges. Amongst their selection of new products Beko have brought 2 new Upright cordless vacuum cleaners. 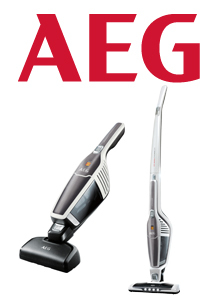 These new vacuum cleaners offer 60 and 75-minute runtimes. 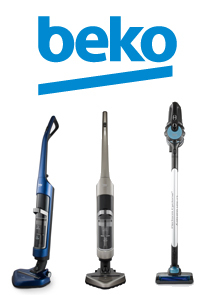 Beko have also introduced a new Handheld vacuum with a 25-minute runtime. Floorcare was not the only section of Beko’s Extensive SDA range to get new additions, Beko have also released a new blender, chopper and hand mixer. Dimplex Home Comfort and Heating have released one of the latest innovations for home comfort. 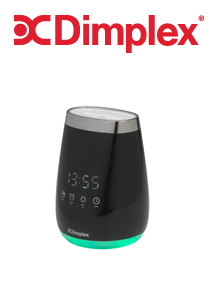 The DXAD100 Aroma Diffuser with a 100ml tank and up to 5 hours runtime this is perfect for your home. Use your favourite aromatherapy oil scent to fill any given room in your house up to 15m2. 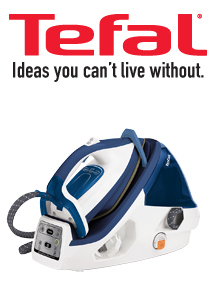 Tefal have released the GV9071 Steam Generator. The GV8932 has a massive 500g Steam Shot, 120g Continuous steam setting, 2400W power and a generous 1.6L tank. Featuring 5 settings covering Synthetics, Silk, Wool, Cotton and Linen. Fitted with a Durillium Airglide Autoclean Soleplate. The GV9071 also features a protect system to help protect your clothes. This Steam Generator has an On/Off function and Anti-Drip system. In a rush? No problem with this iron as it is ready in 2 minutes and provides up to 7.5 Bars of pressure. 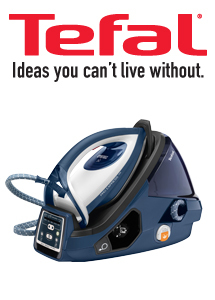 Tefal have released the GV8932 Steam Generator. The GV8932 has a 400g Steam Shot, 120g Continuous steam setting, 2400W power and a generous 1.6L tank. In a rush? No problem with this iron as it is ready in 2 minutes and provides up to 7.0 Bars of pressure. 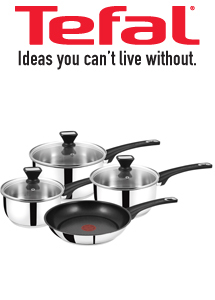 Tefal bring you the new Effects Anti-Scale High Pressure Steam Generator. The GV6840 has a compact design, delivers 300g steam shot and 100g continuous steam. This iron also features a Durillium Airglide soleplate and 2200w power. 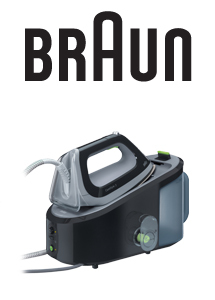 CareStyle 7 Pro is the latest steam generator from Braun. The IS7046BK is made with you in mind featuring; 7.5 Bar Pressure, 450g/min, 2L Water Tank, Auto Off, Turbo Mode, Quiet Operation, Safe Rest, Carry Lock, Anti Calc and 125g/min Steam Shot. Braun also bring you the new Saphir 3D Soleplate with the CareStyle 7 Pro. The new CareStyle 3 IS3046BK steam generator features; 6 Bar pressure, 2400W, Safe Rest, Carry Lock, 340g/min and a 2L Water Tank. The Carestyle 3 range are also fitted with Eloxal 3D Soleplates. 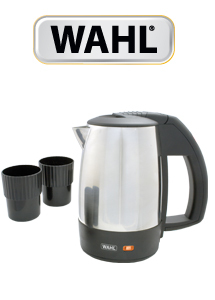 The new ZX643-200 Stainless Steel travel kettle comes with 2 cups, 1kw power, 0.5L capacity and a water gauge. Designed for when you want that little break. 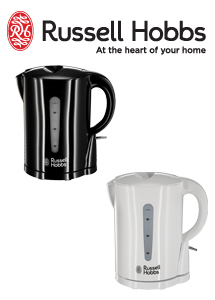 The new Essential kettles from Russell Hobbs come with 2.2kw power, 1.7L capacity and Water window. These kettles come in two colours 21440(Black) and 21441(White). 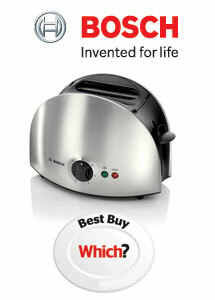 The TAT6901GB City Collection toaster is featured in the August issue of Which? Stated as the Best Brand and Most Reliable Brand this Bosch toaster received 75%. Bosch have been noted as making the trustiest toasters. The DuraCeramic Sauté is featured in the august issue of Which? The CSC026 has been given an amazing 86% and labelled with the Best Buy. 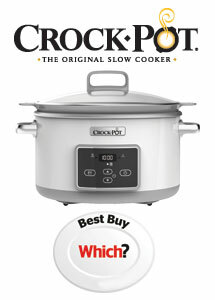 This Crock Pot is excellent for stewing and roasting and the inner pot can be used on all types of hobs including induction. With ease of use and easy to clean and fitted with a keep warm function mode when cooking is done. The new MultiPro Home comes in two new models. The FDP643WH features 6 attachments; Mini Bowl and Blades, Stainless Steel Knife Blade, Slicing/Grating Discs, Dough Tool, Whisk and 1.6L Blender. 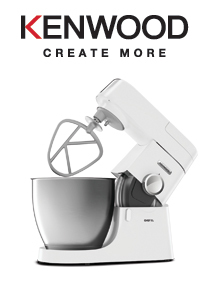 Kenwood have also released the FDP646WH MultiPro Home which comes with; Mini Bowl and Blades, Stainless Steel Knife Blade, Slicing/Grating Discs, Dough Tool, Whisk, 1.6L Blender, Citrus Press and a Chopping Mill. Both Models feature 1000W Motors and 2 speeds. 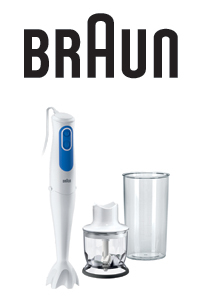 The new Braun MQ3020 Pasta is the new hand blender in the MultiQuick range. Featuring Chopper attachments, 2 speeds and a 700w power output. 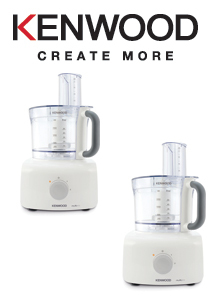 The MQ3025 also comes with a beaker and a chopper attachment making this a must have for any kitchen. 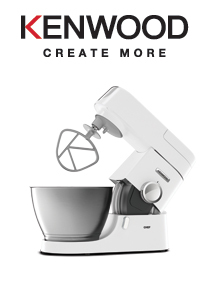 The Chef kitchen machines from Kenwood are some of the most iconic kitchen appliances in the world, now its super sized. Kenwood bring you a new design for 2017. The KVL4100WH has 3 outlets Slow for grinding, rolling and pressing. High for blending and food processing. Bowl for mixing, whisking and kneading. 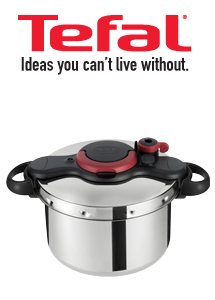 Featuring a 1200W motor and a 46.7L bowl the new Chef XL has 8 speeds. Waffles, not the potato kind but the savoury kind. The new Breville Dura-Ceramic waffle maker is here. Designed with the Branded ceramic handle the VST072 is 20% faster when it comes to cooking waffles. Breakfast, Desert or just a Snack? 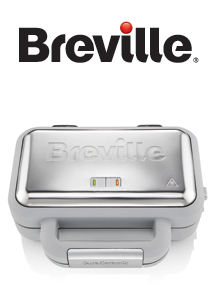 Breville have got it covered. 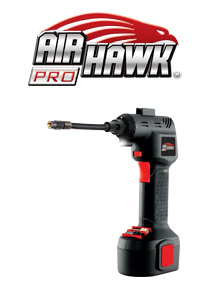 The Air Hawk Pro the latest innovation uncompressed air. The new Optigrill+XL is her to make grilling fearless. Featuring 30% bigger plates and the exclusive thickness sensor which automatically knows how long it will take to grill your food. 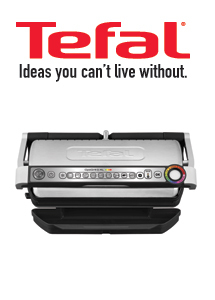 Tefal have also included removable plates and an LED cooking level indicator. 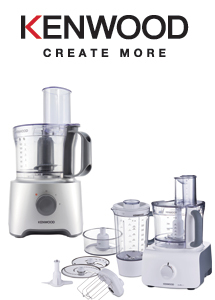 The Chef kitchen machines from Kenwood are some of the most iconic kitchen appliances in the world. The KVC3100WH has 3 outlets Slow for grinding, rolling and pressing. High for blending and food processing. Bowl for mixing, whisking and kneading. Featuring a 1000W motor and a 4.6L bowl the new Chef has 8 speeds. 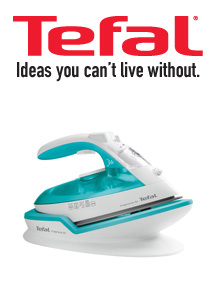 Tefal bring you freedom when it comes to ironing. The Freemove Air cordless iron is the lightest free move iron to date. 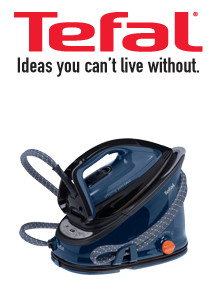 Featuring a 250ml Tank, 2400W, a 115 Steam Shot, and Anti-Scale this new iron brings you more movement. 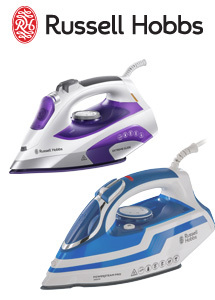 The new Fabric Care range from Russell Hobbs features two new irons. 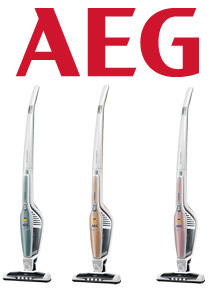 The Extreme Glide Iron (21530) features; 2400W, Ceramic Soleplate, Auto Off and Anti-Drip. Designed with a sleek look this White and Purple iron looks the business to do the business. The second newcomer is the Power Steam Pro Iron (20631) which features; 2600W a Ceramic Soleplate, Auto Off, Anti Drip and Self Clean function. The 20631 is stylish and is here to help you get through your mountain of ironing. Philips have launched a new line in their large fabric care range. 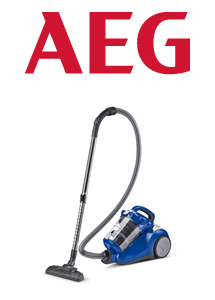 The GC2045/80 EasySpeed Plus Iron features 2300W, 140 Steam Shot, Anti-Calc and 2.5m Cord Length. 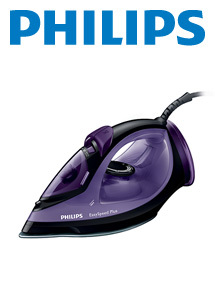 Philips have given this iron a Steamglide Soleplate just to top it off. 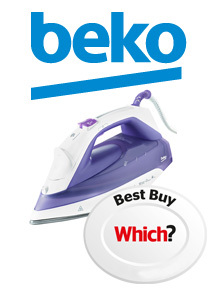 The Beko SteamXtra Prosmart High Pressure Steam Iron has been awarded the Which? Best Buy award. 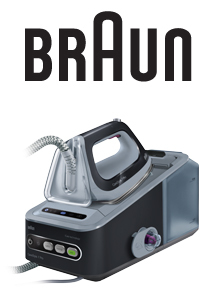 The SPA713P iron features 3100W, 240 Steam Shot, 60 Steam (G/Min), Anti-Calc and a 350ml Tank. Equipped with a Ceramic Coated Soleplate, Vertical Steam, Electronic Anti-Drip and a 3 Way Auto-Off Safety Function, its not hard to see why Which? awarded this iron the Best Buy. The TexStyle ranges from Braun are known by all for the innovative use of advanced soleplates. 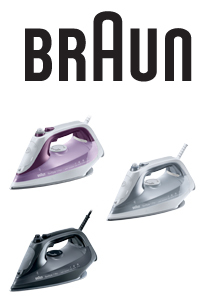 Braun bring you two new lines and they both look amazing. The SI7088GY TexStyle 7 Pro iron features an Eloxal 3D soleplate which creates a smooth movement and prevents snagging on buttons when going backwards. The SI9188BK TexStyle 9 Pro iron features iCareTec smart textile protection, this allows the iron to set the right temperature for any fabric. 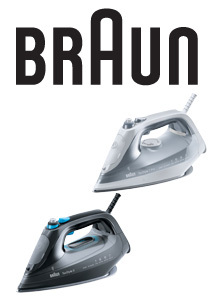 Braun have also created this iron with the Saphir 3D soleplate which provides snag free ironing glides backwards over buttons. 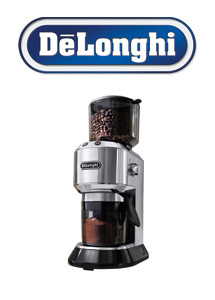 DeLonghi have released a new Burr Grinder. The KG521M coffee grinder is stylish and sleek, and matched perfectly with the Dedica Espresso Machines. 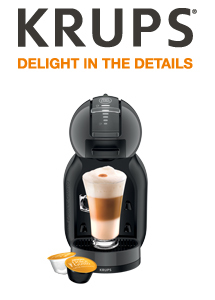 Featuring 18 different grind settings 350g bean capacity and a generous 14 cup capacity. Wake up in the morning to fresh coffee thanks to DeLonghi. 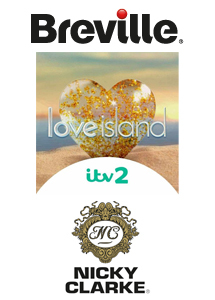 The phenomenon TV series Love Island features products from Breville and Nicky Clarke. The Breville High Gloss range has been featured on the hit ITV2 show as the contestants use these products in their every day lives on the island. Nicky Clarke’s Diamond Shine hair care range is also featured as you need to look your best when you are looking for love, even if you are on an island. The Jamie Oliver stainless steel 4 piece panes gives you the best of both worlds in the kitchen. Suitable for both gas and induction hobs this set comes with 16cm, 18cm and 20cm saucepans with glass lids and 24cm frying pan. The handles are also debossed with the naked chefs name. All of the pans and the frying pan are dishwasher safe, oven safe up to 175º and are metal utensil safe.